Lighting There are 294 products. Twiggy by Foscarini is an elegant and charming lamp. The floor version allows to point the highlight toward every part of the room, depending on your needs. It has become a cult item in the lightining world. This floor lamp by Foscarini will turn the living room into a cheerful and vivid environment, with a touch of joyous originality. 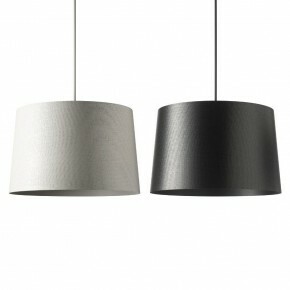 Romeo Outdoor by Flos is a lamp "interwoven" with light. The particular processing of the body, in fact, gives it a retro style that is modernised in order to create a contemporary lighting system. Romeo by Flos recalls far away atmospheres, allowing you to live timeless light emotions. Big Bang, designed by Enrico Franzolini and Vicente Garcia Jimenez in 2005 for Foscarini, is an innovative and original lamp. It is made of spheres which return the image of the lighting source to its interior and surrounding environment. The new long-lasting high energy-efficient LED version is also available. 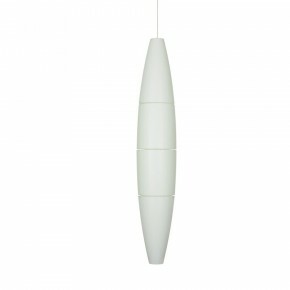 Le Soleil lamp was designed by Vicente Garcia Jimenez in 2009 for Foscarini. 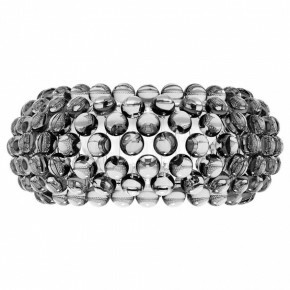 The manufacture process of this element starts from the shielding strips rolled up around a shining heart. The sun, once shielded and filtered, can be watched with the naked eye. This lamp spreads a warm and delicate glare. Birdie by Foscarini is a reading lamp with a tree structure; the stalk looks like a vegetable stem, while the lighting system reminds of a little tree branch holding a “birdie”. 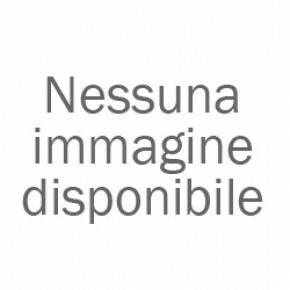 The reading lamp by Foscarini is harmonious, light and with a strong character. SuperArchimoon by Flos is a ground lamp, characterized by direct and diffuse light and an innovative and absolute modern design. The lamp, made in aluminium and stainless steel, has two diffusers: the external one is characterized by a peculiar pleated fabric. 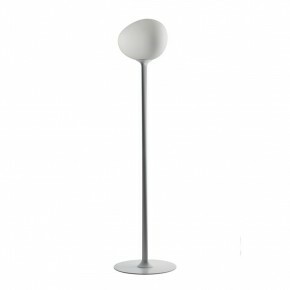 Stylos ground lamp by Flos, with diffuse and indirect light, is high and elegant with a refined and modern design. 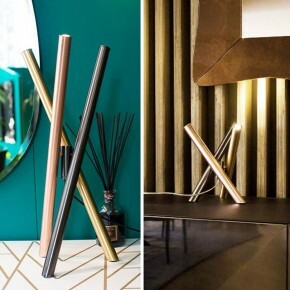 It is composed of two elements, which are perfectly combined together: the base in silver-plated steel and the cylindrical diffuser in opaline PMMA. Its minimal lines make it particularly suitable for every room of the house. IC Lights C/W 1 lamp by Flos has been designed by Michael Anastassiades in 2014 and is characterised by its perfect shapes: a sphere balancing on the extremity of a bar. Ideal for the decoration of walls and ceiling. 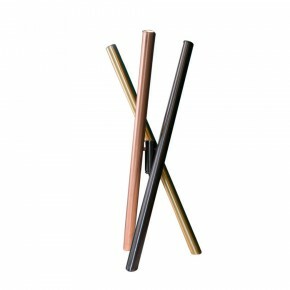 Available in two different colours, chrome and brushed brass. Astra Arc is a lamp designed by Piero De Longhi for Cattelan Italia. High, curved and imposing, Astra Arc is a highly decorative design item that widely illuminates your environment.